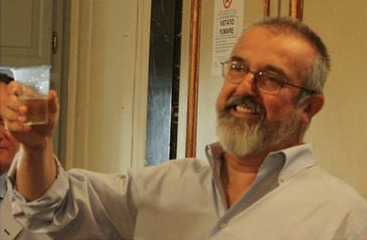 Scientific journalism in Italy owes a lot to Romeo Bassoli (1954-2013). Taken to Rome by Luigi Berlinguer in the Seventies - from his home-town Sesto San Giovanni - for writing about Education on L’Unita’, Romeo in 1987 invented from scratch the communist party newspaper’s mythical science page, which lasted for 12 years until 1999, when “new trends” stole its place. Partner of Zadig, where he launched brilliant initiatives as “Lanci”, Romeo Bassoli became then in 2008 director of the press office for the National Institute of Nuclear Physics. And it was immediately clear in terms of impact and vivid communication of the last extraordinary discoveries of particle physics. He taught scientific communication to generations of youngsters. His last work was a book written with Luciano Maiani, “A caccia del Bosone di Higgs” (Hunting the Higgs Boson). Just looking at the titles of his previous books, then, his spirit emerges clearly: from “October moon. How the Sputnik changed the world” (Luna di ottobre. Come lo Sputnik cambio’ il mondo, with Federico Ungaro in 2007), to “Let’s take the kids. Travelling with our children without ruining our vacation” (Portiamo anche i bambini. Viaggiare con i figli senza rovinarsi le vacanze, 1997). From “The ox behind the hedge. Animal well-being in the human/nature balance” (Il bue oltre la siepe. Il benessere animale nell’equilibrio uomo/natura, 1996), to “The new teenagers. X-ray of a forgotten age” (I nuovi adolescenti. Radiografia di un’eta’ dimenticata, with Eva Benelli, 1995), to finally get to his first book, “Fairy Tales from Asturias” (Fiabe delle Asturie, 1989). When calling him, he often used to answer with the legendary “We are swimming vigorously”. And this is how we like to imagine him now – close to his partner Eva Benelli and his children – going away, with his nice beard and his smile. Here is how he talked about his disease on Janus.